Every once and awhile, automakers like to flex their proverbial muscles and make a car so unbelievable fantastic that the world must stand back, with jaws agape, and marvel at its magnificence. These, usually extremely exclusive, halo cars are designed to showcase what the brand is capable of if cost and reason were off the table. They are rolling chest pounds at the competition. The most recent cars of this nature are the Aston Martin One-77 and Lexus LFA. Both of those cars are far too expensive than they should be, but they showcase what kind of immense driving machines each company is capable of. BMW had one of these cars but, unfortunately, it never saw the light of day. Instead, it sat locked away in a warehouse somewhere in Germany, waiting to die a lonely death, simply because it didn’t fit in the world it was born into. That car was the M8. I once read an article by Angus Mackenzie, of Motor Trend, who told a story of an 8 Series test drive he did at the car’s launch. While talking to some M engineers, he asked if there would ever be an M8 and they said no, as it was too big and heavy. It turns out they were so very wrong. An M8 was designed and built as a fully functioning prototype, waiting for the green light for production from the bean-counters in Munich. The M8, if put into production, would have been the most incredible car BMW had ever made at the time, and quite possibly the best car on sale. It was an absolute masterpiece, the Beethoven’s Symphony number 9 of its time. BMW took an 8 Series, essentially a very big and heavy grand touring car, and turned it into a supercar which would have been able to compete with the likes of Ferrari and Porsche. It all started with the engine, which was a 5.0 liter V12 creating, an absolutely enormous for the time, 550 hp. But it wasn’t all brute force, as the V12 was as technical as it gets. 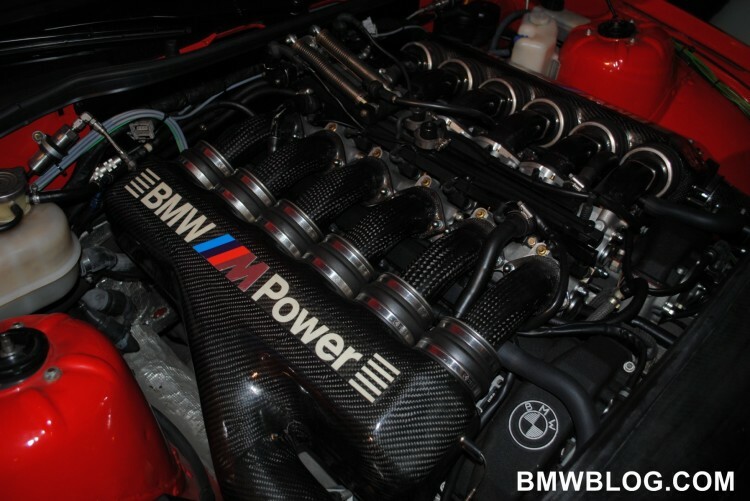 With twelve individual throttle bodies, one for each cylinder and cable driven, BMW’s Double VANOS variable valve timing and a carbon fiber intake manifold, the 5.0 liter engine in the M8 was on the same level as the BMW-built S70/2 in the McLaren F1. It also had a 170 hp advantage over its little brother, the 850CSi. There are no exact figures for 0-60 or top speed, but considering the much heavier and underpowered 850CSi hit 60 mph in the mid-5 second range, the M8 would have probably broken into the 4 seconds range. The M8 also sent all of that hulking power to the rear wheels, through a 6-speed manual gearbox and limited-slip differential. It was also lightened with an extensive use of carbon fiber, and was probably the genesis of the carbon fiber technology BMW uses today. 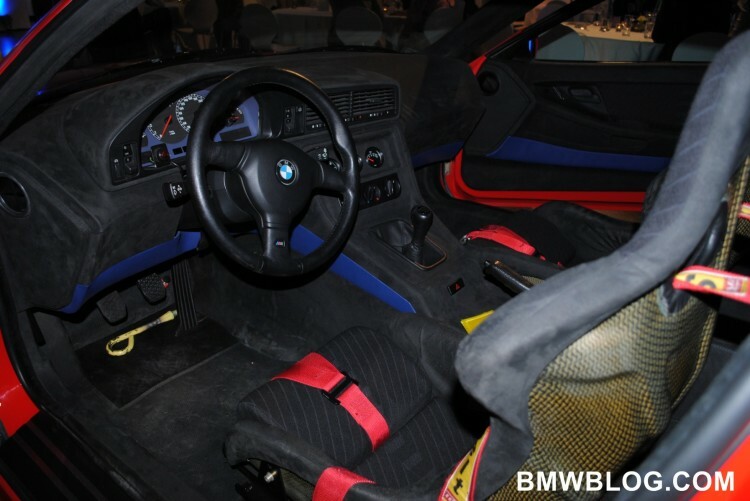 The interior was stripped out and all of the leather replaced with Alcantara. 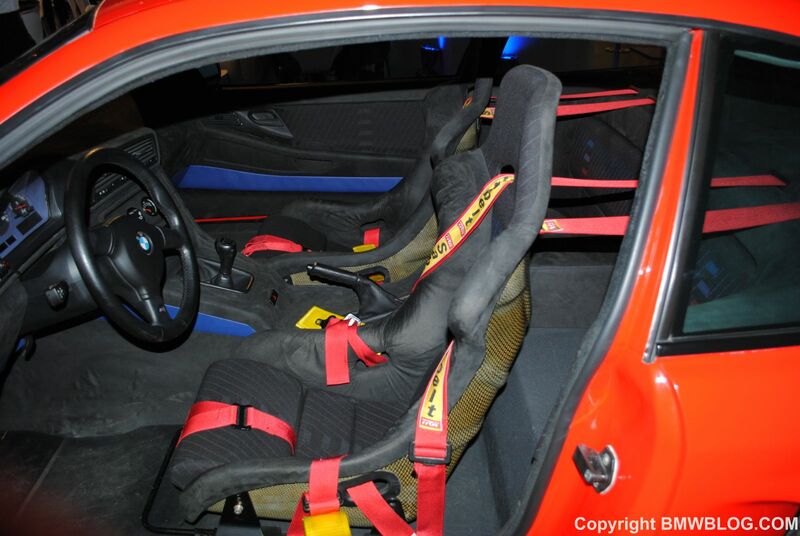 The rear seats were removed and the fronts replaced with single-piece racing seats with four-point safety harnesses. BMW even went through the trouble of changing the headlights, to make them lighter but also smaller, as to fit a bigger air intake into the grille. BMW also installed a B-Pillar, something the standard 8 Series didn’t have. This increased torsional rigidity through corners, where the 8 Series tended to wallow a bit. All of these changes make it obvious that BMW wasn’t just slapping some M badges on an 8 Series and calling it a day. The Bavarians wanted to make something truly special, something that would have put the rest of the auto industry to shame. BMW engineers were pounding their chests with this car. It’s just a shame it never came to fruition. At the time the world was going through a bit of a recession, and the finances for such a car didn’t make much sense at the time. However, through the lense of hindsight, BMW should have made it. Would it have been profitable? No. But neither was the Lexus LFA or Aston One-77, both of which came from companies less profitable than BMW. But what they did do was inspire people to look to their brand. They showed the world what Lexus and Aston Martin could do when they got to roll up their sleeves after hours, when the boss wasn’t looking. If they could do it, BMW probably could have as well. And the world would be a better place for it.